Water main work will requires shutting off water service to your home or business on July 17 from 9am to approximately 1pm. For any questions -please call BWL Water Distribution Dept. -517-702-6490. Water shut off notices will be hung on front doors to notify you of the water service shut off. 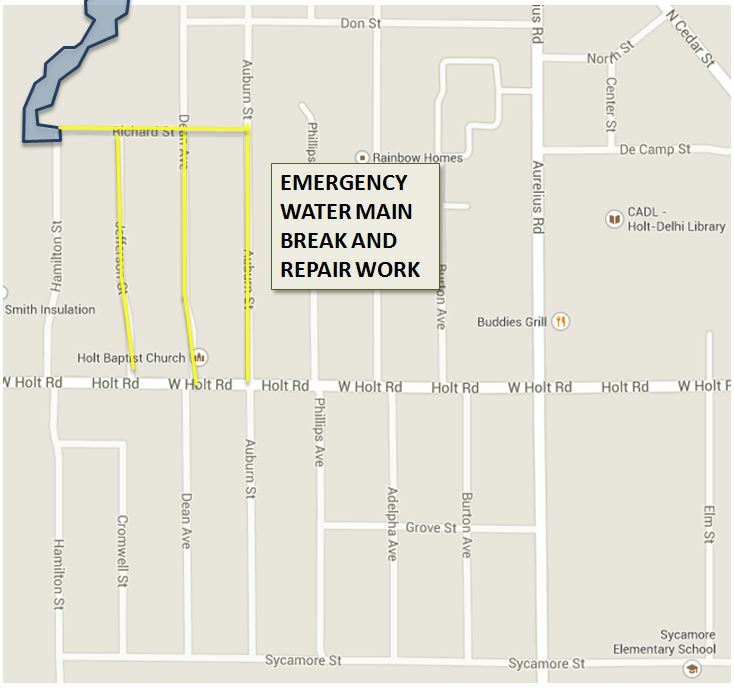 The streets where the water main repair work are shown on the map below. Streets affected by Water Service Shutoff.